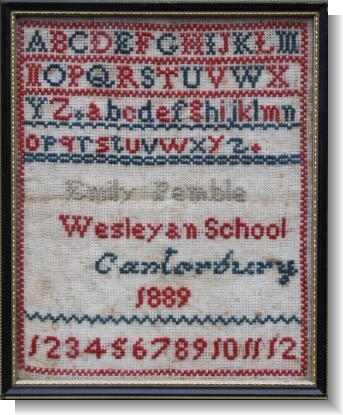 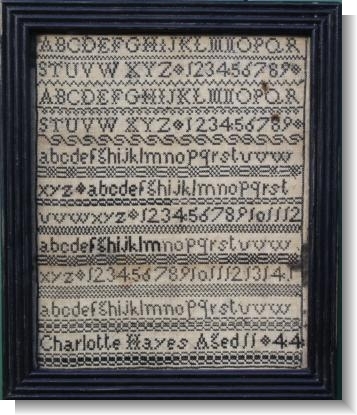 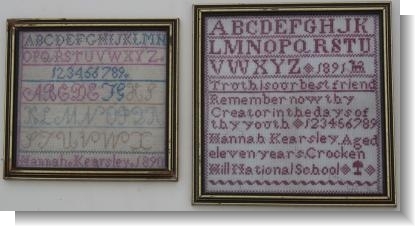 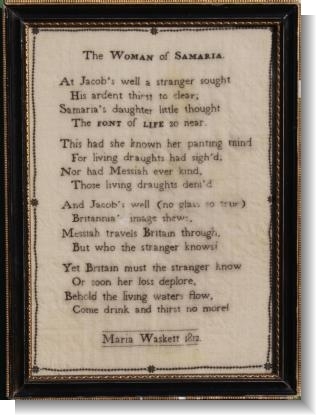 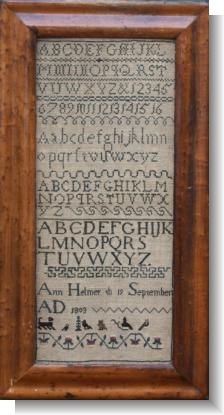 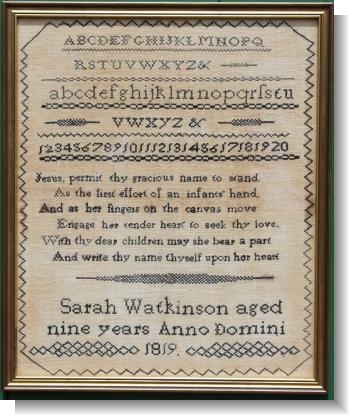 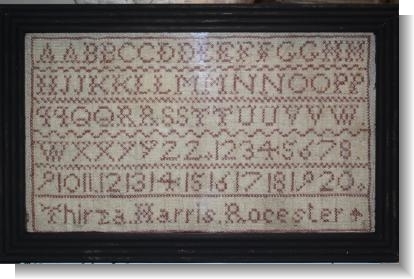 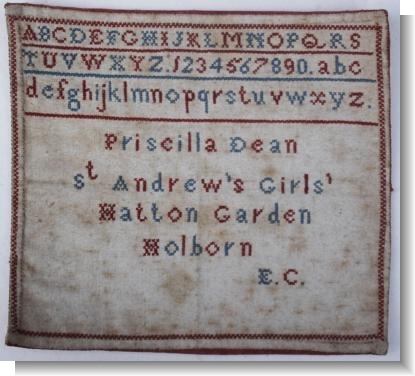 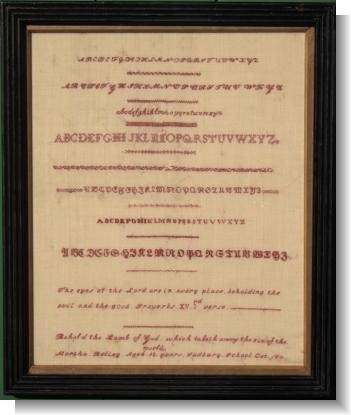 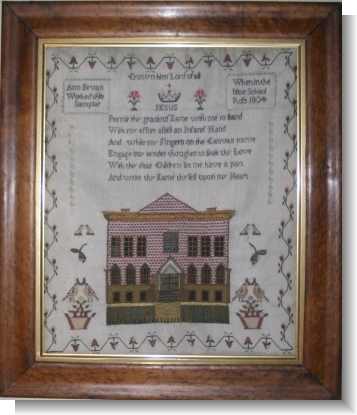 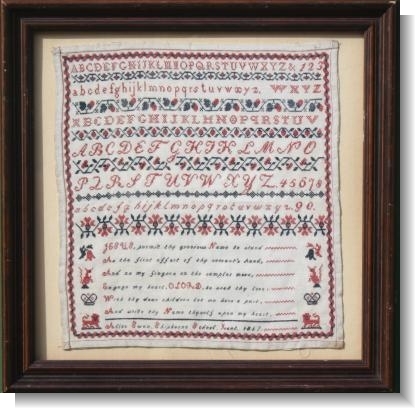 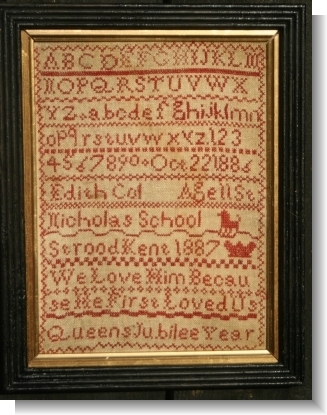 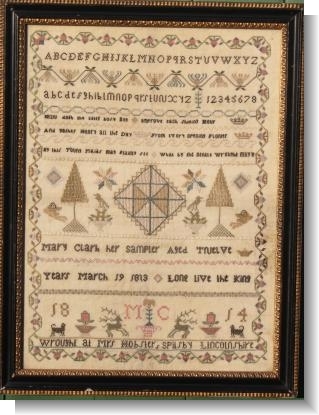 The role of the teacher in the History of sampler making can not be understated. 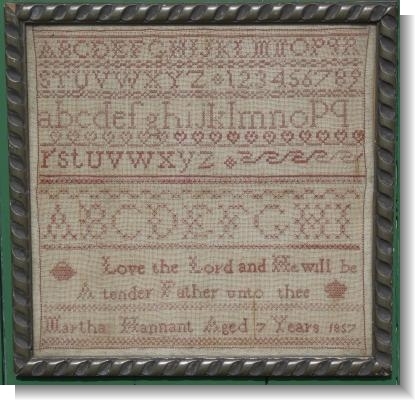 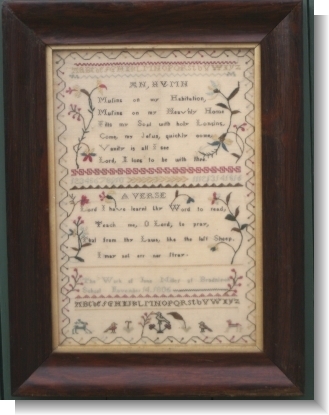 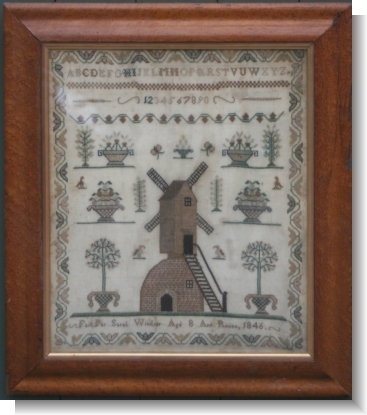 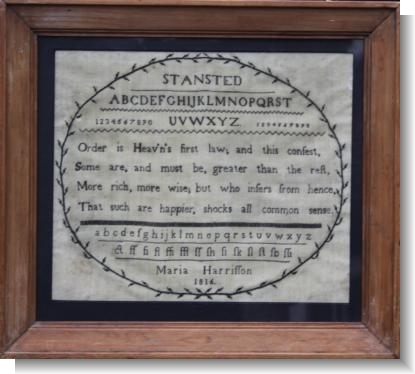 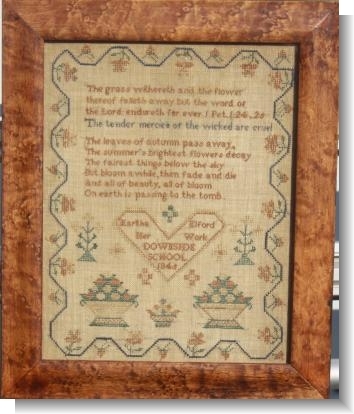 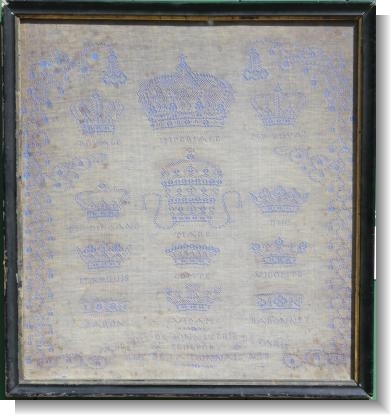 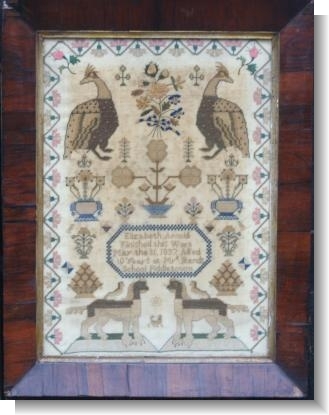 From the 17th century the girls who worked these treasured needleworks were taught,. 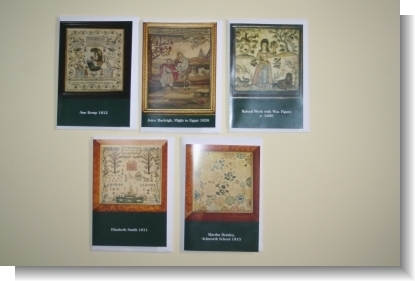 Many like Judith Hale get credit others do'not. 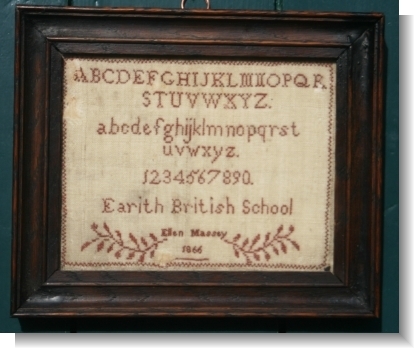 With the advent of composery education the role of the school in samplers become more important. 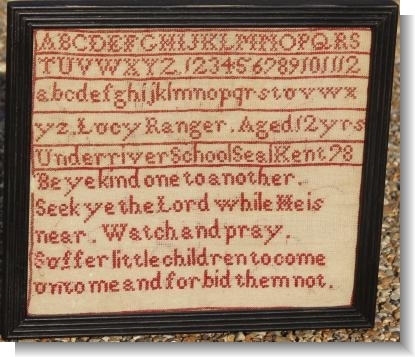 In 1797 the church schools were put onto a proper footing with public subscription setting up both "The National School Soc." 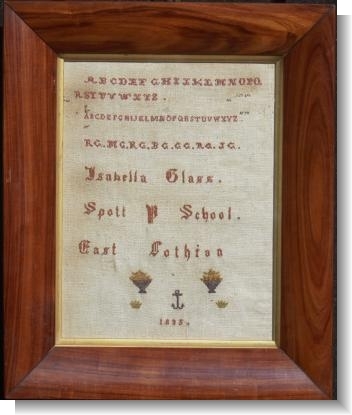 & "The British School Soc". 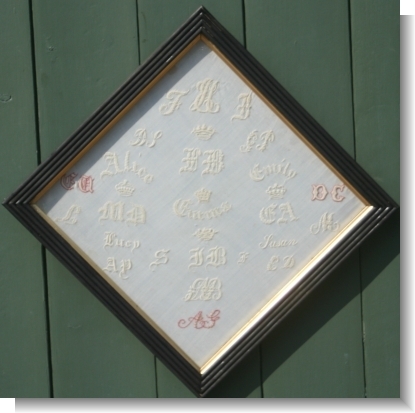 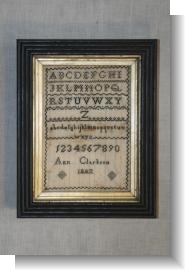 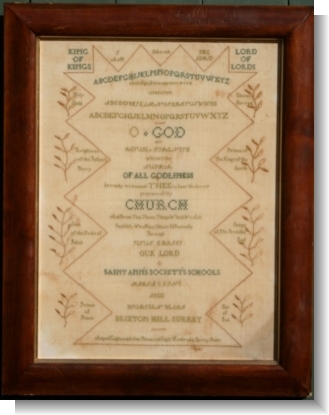 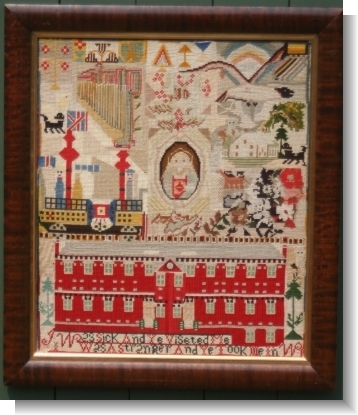 During the 19th Century many schools developed ther own important styles, Ackworth in Yorkshire and the Quaker Schools that followed on both sides of the Atlantic. 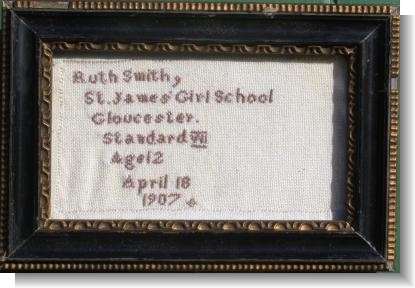 The Cheltenham Orphan Asyum,, The Bristol Orphanage at Ashley Down set up by George Muller in 1836 are all very important , but so are on more local level are the numerous sunday schools, Village & State Schools, The Model Schools of Ireland and the numerous charities like Mr Raines in Wapping, London. 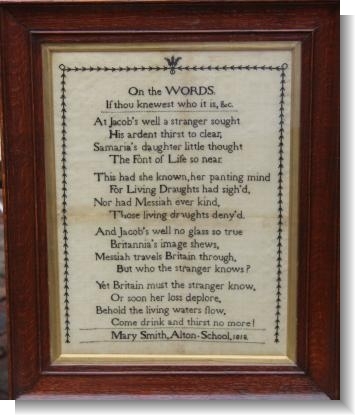 MARY SMITH ALTON Quaker School 1818. 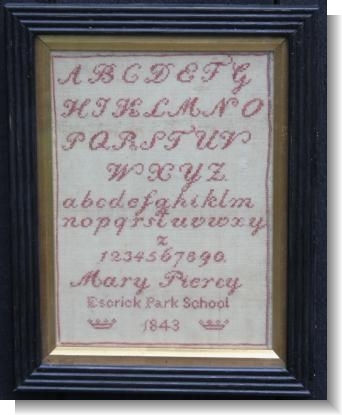 HANNAH KEARSLEY CROCKEN HILL School 1891 a lot of history here. 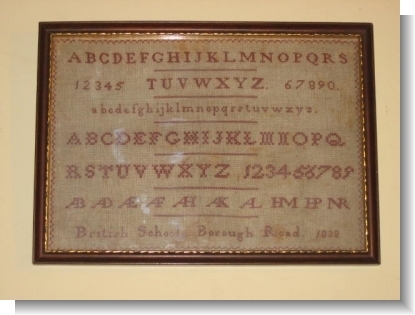 BRITISH SCHOOL BOROUGH ROAD 1830 QUAKER !